If you spend more than a day at University of Puget Sound, you will probably hear it. No, not the clatter of baristas providing everyone with their daily caffeine source, the constant whirring of the lawn mowers that trim our fields, or the trill of instruments wafting through the air from the music building. One specific word. Home. It is peppily chirped as an alluring hook by admissions officers, thoughtfully considered in discussions held by students about campus climate, and consistently promoted in every brochure. Our administration emphasizes that above all else we acquire from Puget Sound, perhaps even more so than our outstanding liberal arts education, we get a new home, the first one most of us are truly able to actively craft for ourselves as adults. Regardless of whether any of us were looking for that home, it is almost universally accepted on our campus that any student will admit that Puget Sound has become their home in some shape or form. The word home is so widely used to describe the atmosphere on our campus that every year at Convocation the returning students would count the number of times that our former President Ronald Thomas (affectionately known as ‘Ron Thom’ by almost everyone on campus) used the word in his welcome speech. In stark contrast to the visions of affection and inspiration that the concept of home conjures, people at Puget Sound often also refer to the campus as “The Bubble”. Needless to say, this phrase isn’t employed quite as often to advertise our university. Funnily (but not so coincidently) enough, the Bay Area (where I grew up) is often referred to as “The Bubble” as well. I attribute this to the immeasurable privilege and security offered by the institution of Puget Sound and the abundant prosperity of the Bay Area. Despite the vast array of negative connotations that this phrase carries with it, I consider both places home, as they have both placed integral roles in my personal development. I have witnessed Puget Sound students (including myself) benefit greatly from this phenomenon. My personal experiences at Puget Sound have led me to conclude that due to Puget Sound being framed to the students as not just a school but a home, our staff play a variety of roles in the lives of the students which, in the most ideal circumstances, counteracts the insulating effect of “The Bubble” on students, in an indirect manner. Professors, administrators and other staff members act as educators, mentors, and even friends. Puget Sound students, with the right nurturing and education from staff, grow into strong, brave human beings, and willingly invest their time in breaking out of “The Bubble” and leaving behind (at least temporarily) the shelter that our campus offers in favor of becoming more independent. When students chose to return to Puget Sound, the campus is a refuge, a place to feel safe as we take our first steps into adulthood. When I arrived on campus freshman year, I immediately felt welcomed by the students and staff into what would become both my academic community and my personal home. Within two years, Puget Sound had become my home in a multitude of indescribable ways. I had grown from an excited yet timid high school graduate to a bold and adventurous college student under the tutelage and care of my professors and the Puget Sound staff. I both embraced “The Bubble” and pushed against it. Over the course of twenty four months, I became increasingly willing to venture beyond the confines of our campus community. 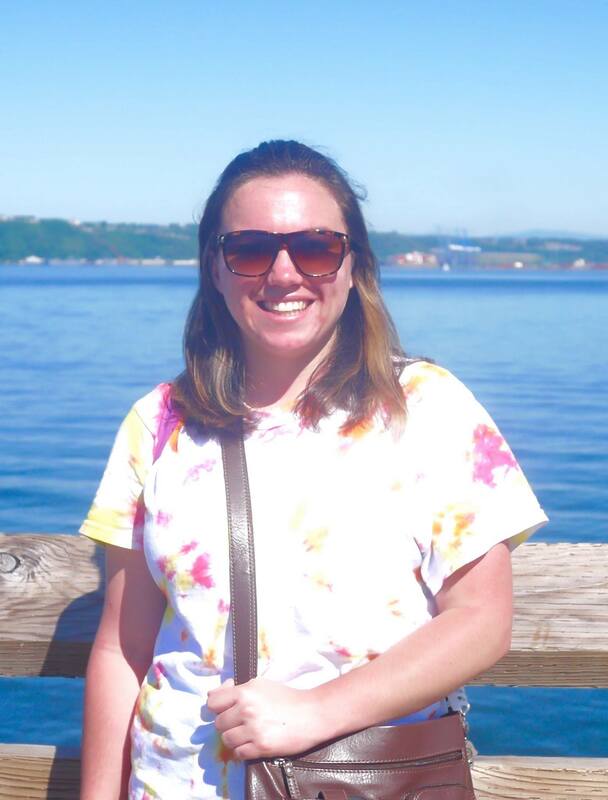 I was incredibly curious what the world could teach me, and I felt more confident in my decision to study abroad knowing that Puget Sound and the home it offered would always be there for me. Puget Sound taught me to find home in a place. On campus, this could be amongst the bright commotion of Diversions, the gentle peace under the redwoods groves, or in the deafening silence of the library. With this concept of home unconsciously crafting my conceptions of my future endeavors abroad, I embarked on an adventure in search of what I naively imagined would be my new home. It took me until now, approximately nine months later, to realize that those conceptions of home were feelings or experiences which were connected, but not inextricably tied, to the locations from which they originated. I could never have imagined that by providing me with a place to call home and the opportunity to leave (and later return) to that home, Puget Sound would also teach me to feel at home without a permanent address. In reality, home does not necessarily have to be a physical place. It is instead the people who support you, the memories you carry with you, and most importantly, the confidence you create within yourself. I loved my house, the safe place that sheltered me from the hot sun and the noise of the medina, in Morocco. But it was a house, not my home. The family that hosted me, the love they had for me despite any linguistic or cultural differences between us, that was my home. I could have made myself comfortable in nearly any house, but the people in my family in Morocco were integral to feeling that I was welcome in a new country. The Center for Cross Cultural Learning was a beautiful old riad in the heart of the medina, but the true academic home I discovered in Rabat was in Tammam and Taieb, my Arabic teacher and the Academic Director of the SIT program, both wonderful human beings who were willing to go to any lengths to help me and the other students on my program adapt to life in their country. Not every moment in Morocco was perfect (and the same can be said for my time on the Puget Sound campus). I sat through some boring and rather useless classes, had disagreements with a variety of other strong-willed students on the program, and at times struggled to adapt and make the concessions necessary to smoothly integrate into daily life in a foreign country. I occasionally felt out of place in Moroccan society and did not always like all of my American classmates enough to crave their company on a daily basis. However, I learned more than I will ever fully be able to understand about traveling and living in a foreign country, and I value all of my experiences there, good and bad. They taught me more than I ever expected and began my introduction to the reality of the world. I have given up the illusion that any place in which I only intend to reside temporarily should feel perfect or provide me with the ideal home. I don’t need the most fascinating classes, a beautiful house, effortless communication with my host families, or a nearly blood-bonded group of guaranteed life-long friends. I have been both sheltered and challenged in a variety of locations by an eclectic host of people upon whom I came to depend and who also taught me to depend upon myself. I have derived invaluable personal growth from the imperfections which I have encountered throughout my academic career, both abroad and stateside, which have served to highlight the moments of success and joy. I cherish the experiences and memories I have gained more than any conception of a perfect home that I could ever envision. I am no longer looking for home in a place, but rather in myself. CCCL Rabat Squad in Tarmilat, Morocco. SIT Morocco: Multiculturalism and Human Rights Fall 2015 in Erg Chebbi, Morocco. Me along Ruston Way during Reading Period this past spring semester before leaving to go abroad. Hello, my name is Amanda Klein, and I am a rising senior at UPS. I am double majoring in Politics & Government (tracking in International Relations) and International Political Economy, specializing in studies of Middle Eastern Political Economics and Arabic. 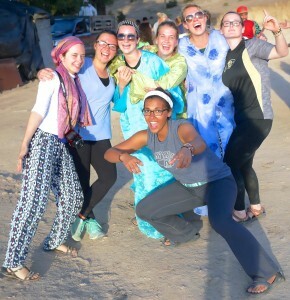 I will be blogging for What We Do while I am abroad in Jordan this summer. 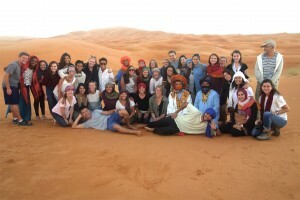 Last fall I studied abroad through SIT (School for International Training) in Rabat, Morocco. I loved North Africa and Arabic so much that I decided I wanted to keep traveling around and studying the MENA (Middle East North Africa) region. This spring I was admitted to Qasid Institute’s Summer Intensive Arabic Program, located in Amman, Jordan. I was thrilled to have the chance to continue my Arabic studies. In addition to living in Amman for ten weeks, I have had the chance to do quite a lot of traveling since the beginning of the summer. I plan to post a few entries on my travels prior to the beginning of the program to get everyone reading this caught up, in addition to entries on what I do and where I go while I am in Jordan. 1) I play the clarinet in Concert Band at UPS. I started playing clarinet in fifth grade. I am rather abhorrent and possess little natural talent for the instrument, but love playing it in an ensemble. 2) My favorite foods are hummus, chocolate, coffee, and mint lemonade. Thankfully, all four of these foods can be found in delicious abundance in the Middle East. 3) I have visited thirteen countries outside the United States. If I haven’t been there, it’s probably on my list. Countries I have visited are highlighted in blue.